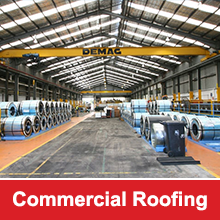 The best way to extend your commercial roof life is to keep it in good shape. The average roof life is said to be 20 years, according to the experts. Let’s say your building is expected to have a 80 year lifespan. With good maintenance, you will need three roof replacements. But if the life of your roof is shortened to 15 years by being lax in its upkeep, you could have to reroof five times during the same period. Creating a 40% increase in replacement costs over the building’s life. Regardless of what type of roof you have, proper drainage, good access, control of rooftop traffic, and a design that enables repairs, is essential. It is important to keep records of work carried out on the roof and have supporting documentation where possible, such as the original design plans and specs. A proactive maintenance plan, should be in place, rather then a reactive plan. A proactive maintenance plan includes ongoing inspections to evaluate the roof’s condition. These assessments are important to uncover problems and repair them before they become a reality. 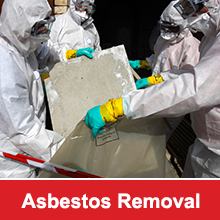 You should also evaluate existing repairs to ensure the fix hasn’t lost its viability. A good habit to have would be to inspect twice a year, usually before and after winter, as well as after adverse weather conditions. Owners and facility managers who deal with issues as they occur, pay an average of 25¢ per square foot annually for maintenance. Those who inspect and repair routinely, spend an average of only 14¢ per square foot annually. Also, proactively maintained roofs last about 21 years compared to the 13 years for reactive upkeep. The more you can extend your commercial roof’s life before replacement, the more you can increase your overall savings increase and your life cycle costs decrease. Surprisingly, weather is not the most common threat to a roof’s durability. The majority of roof problems occur because of human error due to workers going up on your roof for window cleaning, HVAC repair, etc, faulty maintenance or poor installation in the first place. So, correct training, experience and consistent performance are all essential when dealing with roofs. So remember be proactive, and avoid costly repairs.